Melbourne-based uComms, which uses the robo-polling technology of veteran pollster ReachTEL, is now facing a backlash from clients who say they had no idea the company was controlled by two of the most powerful forces on the left-side of politics. 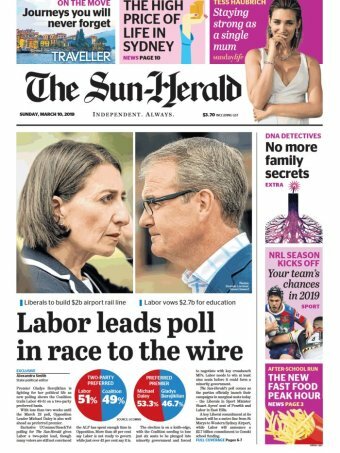 Polls by uComms have received widespread media coverage in the past 12 months, including a recent front-page splash commissioned by The Sydney Morning Herald predicting a Labor win in the New South Wales state election. The story made no mention of the polling company’s ties to the ACTU and CFMMEU. Gladys Berejiklian’s Coalition government was re-elected in a majority government a fortnight after the poll was published. 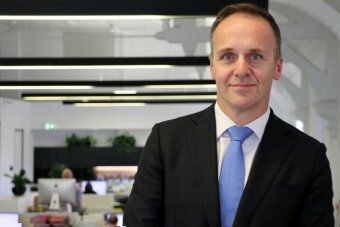 Group executive editor of The Sydney Morning Herald and The Age, James Chessell, said the paper was not aware of who owns the company and will no longer commission uComms in the future. There is no suggestion the outcome of uComms polling is influenced by its ownership structure. Polling experts say uComms should have made clear to its clients, survey respondents and anybody reading their results that the Labor-aligned groups co-own the company. 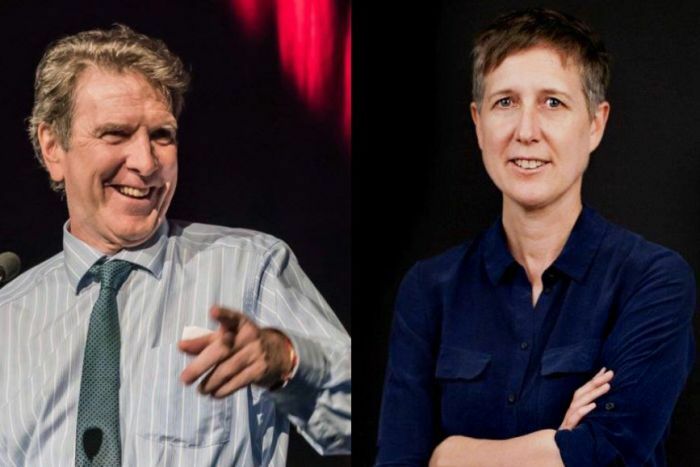 “Given how few actors there are in the polling landscape in Australia, clarity about any political connections in their ownership structure — I think there is a legitimate public interest in understanding that,” said Professor Simon Jackman, a polling specialist at the University of Sydney. 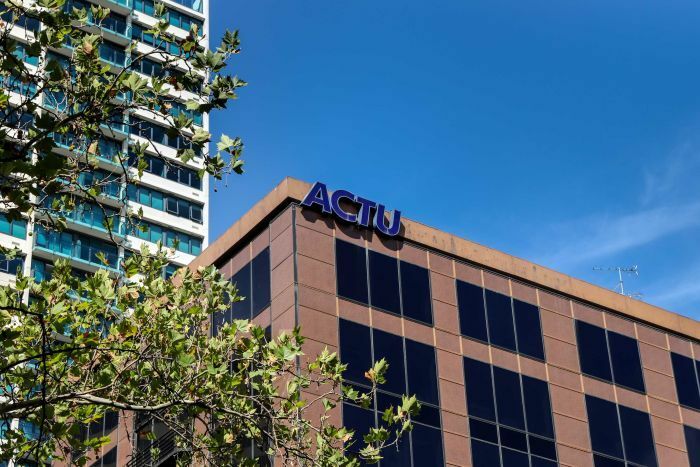 The CFMMEU and the ACTU declined interview requests, but in statement, a spokesperson for the ACTU dismissed concerns about the union’s ownership of uComms. “The notion there would be a conflict of interest is ludicrous — the whole purpose of establishing the company in the first place was to provide a quality service at lowest possible cost for both unions and the broader movement,” the spokesperson said. The revelation comes as political parties, lobby groups and media outlets are ramping up their polling ahead of next month’s Federal Election. The ABC understands some other uComms clients now intend to stop using the company after being made aware of its ownership. In a statement to the ABC, uComms insists it has been transparent about its ownership. “The three shareholders are easily found through a search on the ASIC website — something you can’t say about many companies in Australia with far more complex and opaque ownership structures,” the uComms statement said. Yet none of the 11 uComms clients contacted by the ABC said they had thought to make a paid search of the company’s structure. “We do not routinely do ASIC searches of all companies with which we do business,” the NSW Nature Conservation Council, which commissioned a uComms poll last year, said in a statement. Even if clients had paid for an ASIC search, they would have discovered uComms’ corporate records make no explicit reference to the ACTU or the CFMMEU. The only trace of the two organisations is found deep in uComms’ corporate structure. An initial search shows the company’s sole shareholder is a holding company called uPoint Pty Ltd. 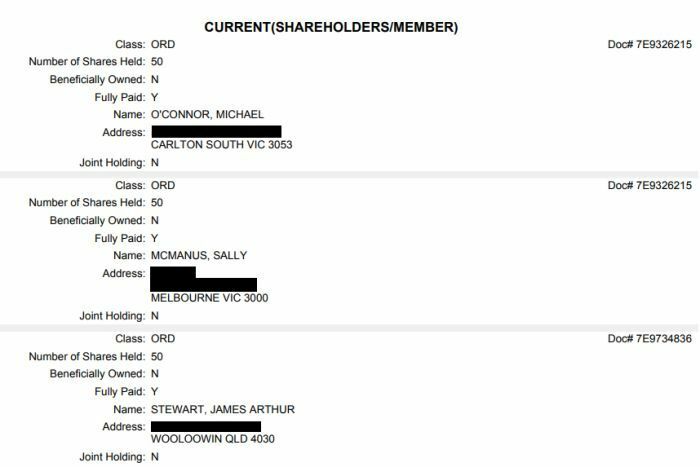 It takes a further search of the register to reveal uPoint’s three shareholders are ACTU secretary Sally McManus, CFMMEU national secretary Michael O’Connor and James Stewart, a former executive of uComms’ business partner, ReachTEL. Ms McManus and Mr O’Connor are listed as shareholders on behalf of their organisations. Before being contacted by the ABC, uComms’ business address was listed in company documents and on published polls as being at the same Melbourne CBD office building as the ACTU. That listing has since changed its listed address to a nearby Melbourne CBD address. UComms was registered in June last year and was commissioned for a range of surveys using ReachTEL’s voice and SMS service technology. In January, The Australian newspaper published the results of a uComms/ReachTEL opinion poll commissioned by a group of disgruntled Liberal supporters in Higgins, the eastern-Melbourne seat of retiring Coalition minister Kelly O’Dwyer. The poll of 860 Higgins residents predicted a Labor victory in Higgins, but again, there was no mention of the pollster’s connections to the unions. UComms’ other clients include the independent state member for Sydney, Alex Greenwich, former independent candidate in the Wenworth by-election, Licia Heath, the left-leaning think tank The Australia Institute, the Victorian National Parks Association and the Animal Justice Party. “We were not aware of the chain of ownership identified by the ABC and will be more thoroughly investigating such issues before commissioning any further polling with these companies,” the AYCC said in a statement. Some clients said they were existing clients of ReachTEL, and believed uComms was a ReachTEL subsidiary. In an email to one prospective client, seen by the ABC, a uComms representative describes the company as “a reseller of ReachTEL services”. “We use the same methodology and processes as ReachTEL,” the email said. James Stewart, the third co-owner of uComms, was also one of the founders of ReachTEL. 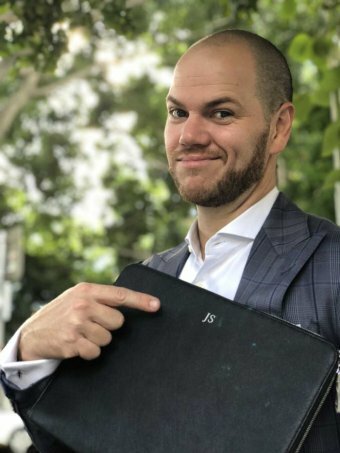 He sold ReachTEL to the credit history company Veda in 2015, and in 2016, Veda was acquired by the US credit data giant Equifax. Mr Stewart stopped working for ReachTEL last year. He registered uPoint — uComms’ parent company — with Ms McManus and Mr O’Connor as the company’s co-owners. In the email to the prospective client, the uComms representative makes clear that his company targets survey respondents using databases held by ReachTEL’s parent company, Equifax. “Leveraging the Equifax dataset, you can be assured that we’re using the very best data sources available,” the email said. In response to questions from the ABC, a spokesperson for ReachTEL’s parent company Equifax sought to distance itself from uComms. 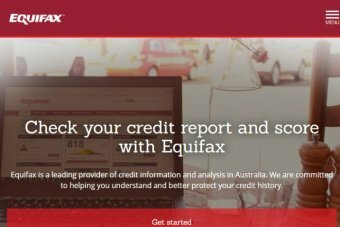 “UComms is not a related body corporate of ReachTEL, nor is it in any way affiliated with ReachTEL,” the Equifax spokesperson said. A section relating to the independence of the company’s polling activities from its shareholders has also recently been added. Professor Simon Jackman from the University of Sydney said it was commonplace for polling companies to combine polling data with existing information on respondents. “Data is the coin of the realm these days,” he said. But uComms said it does not retain or distribute any identified data after completing a poll. “Just like all market research companies, we collect aggregate data on people’s opinions, such as the percentage of people likely to support a candidate in an election,” a statement from uComms said. UComms is one of the few locally-owned pollsters operating in Australia. 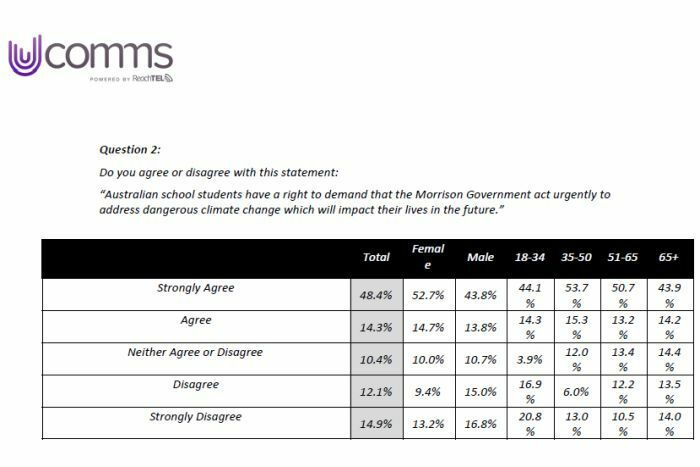 The Australian’s Newspoll is conducted by YouGov, a British polling company that acquired Australian pollster Galaxy Research in 2017. Ipsos, another pollster regularly used by The Age and Sydney Morning Herald, is a French company listed on the Paris stock exchange. The public relations firm Essential Media Communications, which conducts polls and market research for media organisations and interest groups, is co-owned by PR industry veterans Peter Lewis and Tony Douglas. Professor Simon Jackman from the University of Sydney said there is nothing fundamentally wrong with unions or peak bodies owning polling companies — it just needs to be disclosed. “As long as that is appropriately disclosed, both to people consuming the polling — the general public — and perhaps clients of the pollster, and perhaps even the people taking the polls being administered by the company themselves, then I don’t see any issue,” he said.